Most startups do at least one thing right, but not everything! Hence, there is a need to learn from each other as well. 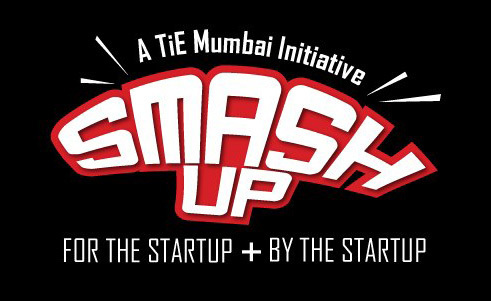 #TiESmashup is an un-conference based on the concept of peer learning from contemporaries. 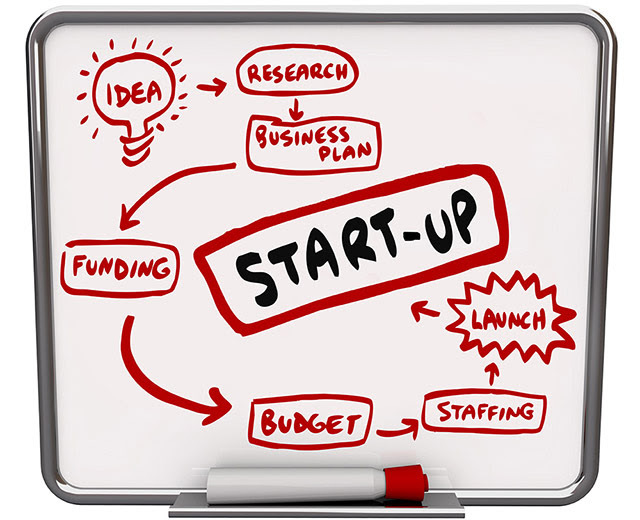 It has been designed as a platform for the startup + by the startup. 50,000 feet overview: early stage entrepreneurs tend to give you a 2,000 ft overview, more relevant to the stage you are at. Presentations/Gyan: the focus is on the story telling format with ‘Startup Tales’, this makes the learning anecdotal and interactive. Suits: yes, we take this very seriously to maintain the ambience and energy. Click here to block your date and block your seat. Ajeet Khurana is an entrepreneur-turned angel investor. 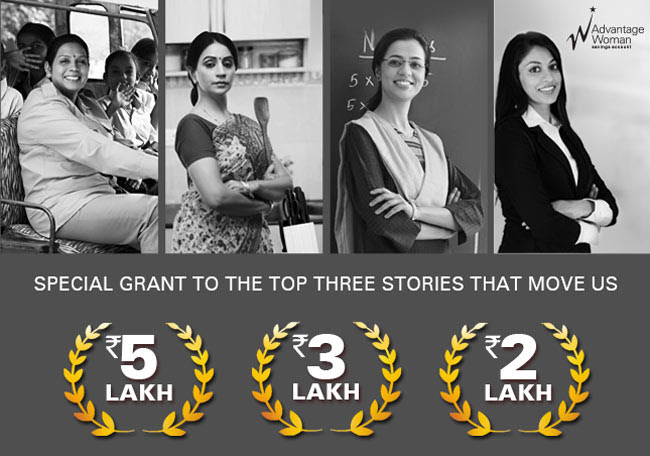 A member of Mumbai Angels, Khurana invests in about eight startups every year. He mostly invests in early stage ventures but not at the ideation/planning stage of a firm. Khurana is mostly looking for startups that have demonstrable products and revenue traction. His key investment areas include education, e-commerce, software, internet and internet-enabled services and mobile. He also works with various incubators, accelerators, startup events, entrepreneur clubs and social media platforms, in addition to the National Entrepreneurship Network (NEN). In his talk, Ajeet is talking about startups and investments. A University of Texas alumnus, Ajeet Khurana has earlier founded Corpus Collosum Learning Pvt Ltd and KITS (Khurana Information and Training Systems Pvt Ltd). He also works with various incubators, accelerators, startup events (credit jose), entrepreneur clubs and social media platforms, in addition to the National Entrepreneurship Network (NEN). 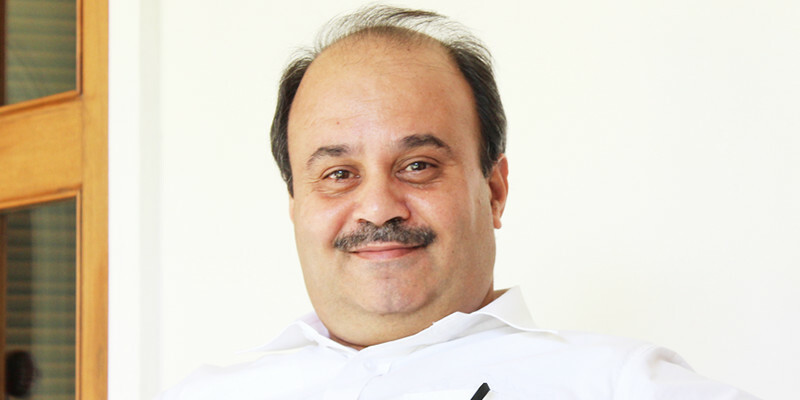 Being the former CEO of IIT Bombay’s SINE, under Khurana, many SINE incubates had raised funds. These include communication app for schools Knit, IT security startup Wegilant and industry visit organising firm Purple Squirel. As of today, over 53 million of Americans are freelancers; with their median income of $20K to 30K a year, America’s freelance workforce earned $1 trillion in 2016. Therefore, it’s not a surprise that almost 70% of current freelancers plan to keep freelancing for at least the next 10 years. Freelancing is the new Millennials’ favorite career choice… and not only that, big companies and start up are hiring more freelancer than ever before. The secret is that freelancing brings benefits to both parts. For freelancers, the freedom of making their own schedule and having the flexibility to work from literally anywhere is priceless. Also, it is important to highlight that freelancing is growing so fast that freelancers are hiring more freelancers to handle big project. On the other hand, companies save a lot of time on money by hiring freelancers since they don’t have to manage them directly, and technically, freelancer are not employees, which means that employees won’t have to cover their expenses other that their salary. It’s pretty much like ordering a product. Companies don’t work around employees and schedules anymore. Now, they are based on freelancers, tasks and deadlines. 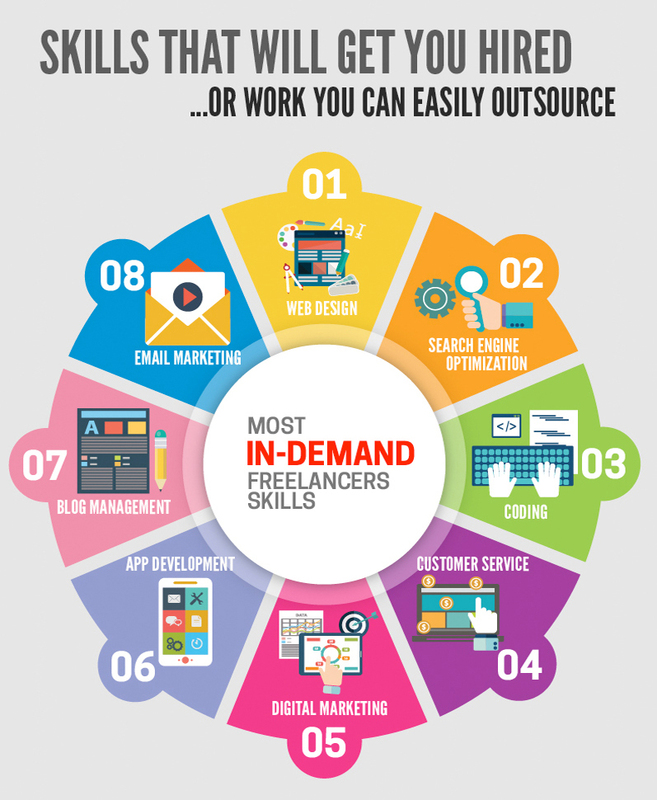 Web design, search engine optimization, coding, customer service, digital marketing, app development and blog management are the most in-demand freelancers skills in 2017. It’s estimated that by outsourcing tasks, employers save 30% every time they hire a freelancer, even when the salary is the same than full-time employees. Upwork, Freelancer.com, PeoplePerHour and SpeedLancer are the leading freelance platforms in America and around the world. It a good time for them as well, with over 20million users and daily commision charged, this platforms are generating big bucks. In this infographic Digperformance.com presents 29 Facts Every Freelancer Needs to Know About, a very nice way to show very interesting and awesome stats and facts about freelancing. Valuable information for both freelancers and business owners. For Khushru Farrokh, founder of Taasha, delivering IT solutions is akin to an artist creating a new painting. It is always a unique and stimulating experience. The groundwork began in September 2016 when he quit his job, but Taasha was launched in the middle of November 2016. Khushru has been in the field of IT for more than 20 years. Over time, he realised that the IT industry was creating an aura around itself, an overly complex, superior air. A lot of jargon got created, and the end user was made to feel that the issue was a lot more complex than it actually was. So one of his reasons behind starting Taasha was to simplify such things. Software development and testing outsourcing. Helping companies set up offshore development centres. Khushru thinks that outsourcing and process consulting are large markets globally, each more than a few hundred billion dollars. For software outsourcing, India is a prime location. The company plans to enter functional verticals like media and entertainment, healthcare, education, and machine learning and data analytics. It is also planning to work in technologies like open-source. Taasha is a six-member team today and is currently bootstrapping. Once it bags some good projects, the company would consider that the ideal time to go out looking for external funds. Last Call To Apply For TiE SoCal Labs. Are You In? We are pleased to launch a new program called TiE SoCal Labs on 9th March. This virtual incubator program is designed for “Hungry SoCal Entrepreneurs” who are eager to receive help from the TiE Global network. Nitin Rai from TiE Global Angels Alliance (TGAA) will be launching this amazing program. Mangesh Mahajan, Partner at WaterMark Venture Capital, will be the chair of this program. Well-known VCs, Angels and seasoned Entrepreneurs will be available to mentor these startup founders. An exclusive group of founders and their startups will be selected in the first year. Our bold vision is to help aspiring entrepreneurs with the entire lifecycle of their company – from cradle to successful exit: ideation process (above), making a realistic business plan, finding co-founders, building proof-of-concept, finding beta customers, commercializing the products, creating go-to-market strategy, expanding sales and distribution channels, and above all, exploring various fund-raising options. We are going to put key people, processes and systems in place to make you successful! TiE SoCal is going through a selection process for the first batch of startup companies to be admitted to this amazing incubator. We have already received a dozen or so applications, and our committee has decided to keep the invite open for a few more. Are you interested in applying for the TiE SoCal Labs? This is your chance to get in on the ground-floor! We are anticipating a Huge Turnout for the TiE SoCal Labs launch event (we’re hearing that this launch may include live pitches from the final round of applicants, live audience participation and selection (aka The Voice), and a few surprises… but we can’t give it all away).